If you are interested in selling my motorcycle in Florida for cash. And you are wondering for the best buyer in Florida. Stop your searching TheBikeBuyers are here for you. You can sell your motorcycle for cash. We buy any type of motorcycle. You can sell you’re damaged, wrecked, junked motorcycle. You should not worry about the condition of your motorcycle. We are paying cash as much as possible according to the condition of your motorcycle. You can make a hassle-free deal here. 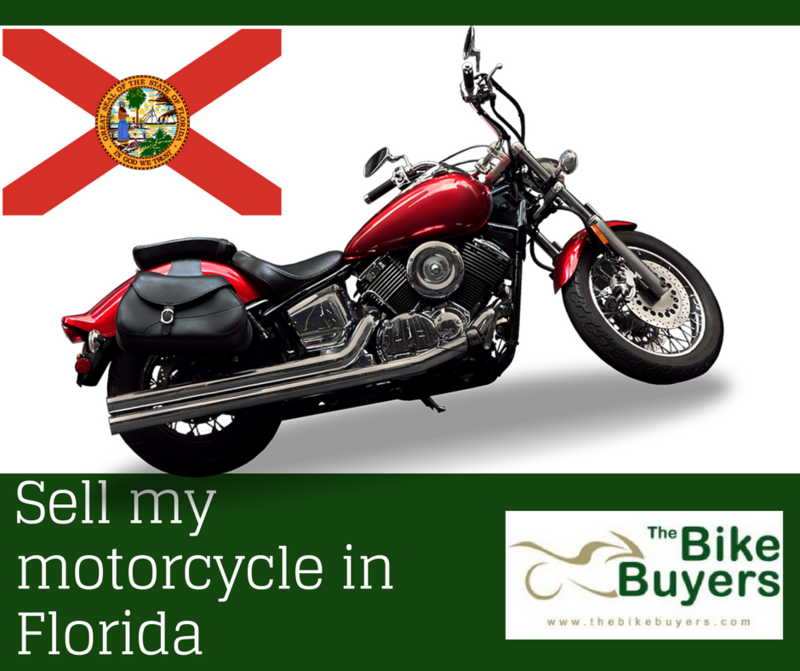 Sell my motorcycle in Florida is very easy. With the help of TheBikeBuyers, you can make the best deal. TheBikeBuyers offers cash for a motorcycle without any hassle. We pay and pick up the same day because we understand the value of time of our customers. We are working nationwide in the USA with maximum offers. Make your selling with us and experience the best selling of TheBikeBuyers.com, just fill some formalities on getting a Quote form or you can make a call on the following number 877.751.8019.